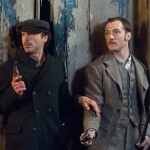 As many of you know, Guy Richie recently directed “Sherlock Holmes”, a 2009 re-imagining of the original Sir Arthur Conan Doyle character. 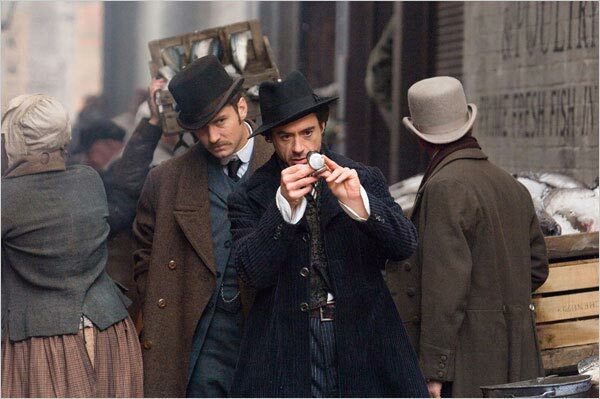 While the movie isn’t entirely traditional and true to the original works (to the point where one may stipulate it’s 24 starring Sherlock Holmes with magic), there’s quite a bit of great traditional fashion with a slightly modern spin- with some great fashion tips you can learn from. 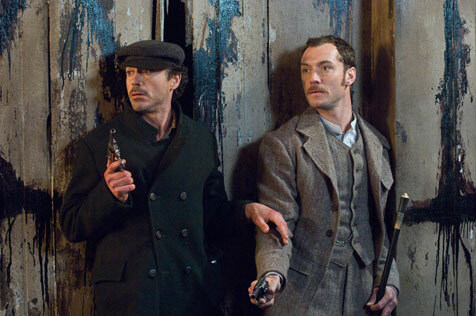 First off, let’s go ahead and address the core style of Sherlock Holmes- Victorian fashion. Victorian fashion is, at least in my opinion, freaking awesome- it’s an example of aesthetics-for-the-sake-of-aesthetics, but with a remarkable masculinity and function that, frankly, looks damn cool. It’s also the easiest locale to pinpoint the beginning concepts and implementations of the modern suit as we know it, though many previous designs existed before it. 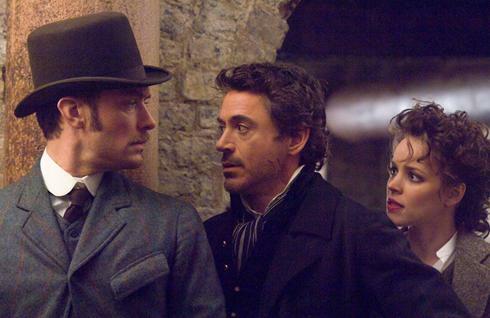 Sherlock Holmes features an interesting mix of Victorian fashion (well, vague feelings of it, which I’ll explain below) mixed with more traditional style. 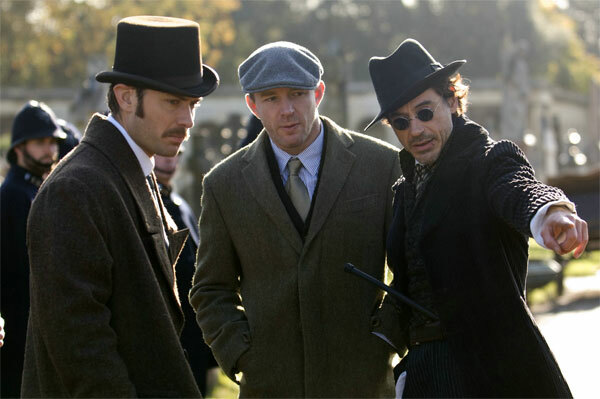 Characters are almost always donned in some form of suiting- three piece suits in the English style, what appear to be two piece suits, lots of vests, and the like. 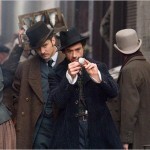 Of course, to make the style more “Victorian” in feel, many of the characters wear distinctive period clothing, such as pocket watches, various hats (newsboy hats, trilbys, etc), and outlandish cravats. So what can you actually apply to your wardrobe? 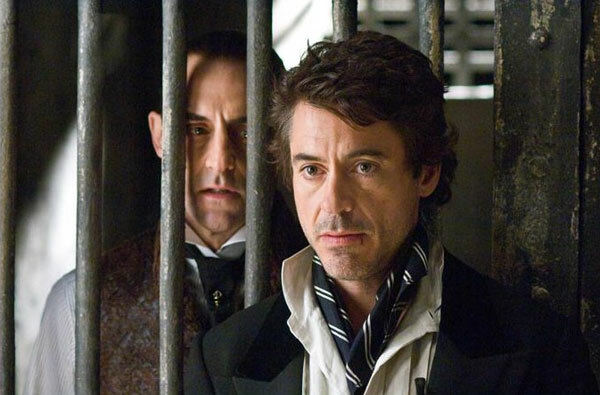 Despite the movie’s constant outlandish attempt to don Holmes in interesting and eccentric clothing, the real person to watch in Sherlock Holmes is Watson. Wearing a number of different interesting mostly tweed suits always paired with a distinctive detachable rounded collar, Jude Law’s Holmes is the character that’s arguably the most fashionable in this film. Not only does he bring a plausible class to a rounded collar, but because he is portrayed as excessively clean and “so”, Watson is often much more interesting sartorially than Holmes ever ends up being. 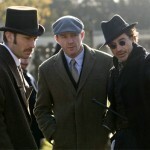 There are a few misses for all characters fashion-wise in the film (most notably some of the color choices, the unbuttoning of double breasted coats, and ESPECIALLY some of the choices for Holmes, who seems to be competing in the contest for the most outlandishly and arguably inappropriately dressed), but Watson is almost always well dressed. The first thing you should look into is the rounded collar, which is also occasionally called the club collar. These are, unfortunately, incredibly hard to find in modern stores, as they are somewhat specialized offerings- that is to say, they’re the avant-garde of the somewhat stoic and traditionalist world of suiting. Brands that have or previously have had rounded collar shirts include Brooks Brothers and Ralph Lauren. Keep in mind a lot of rounded collars shirts are rather expensive- don’t expect to make them a staple of your wardrobe easily. The second thing you might be interested in is a nice tweed suit. Tweed suits are a lot easier to get your hands on than club collars, and ultimately more useful- though actual tweed suits are admittedly still somewhat difficult to find. In general, any sort of more “English” suiting works- light plaid or check patterns are good replacements. If you really want to embody the look, look for an English cut suit- that is, higher armholes, sometimes double breasted, with slimmer pants and slightly softer shoulders. Virtually every suitmaker will have some version of a English patterned suit, so it isn’t hard to find one- just apply the same rules to one as you would to any suit you would purchase. Finally, don’t be afraid of the men’s hat, especially now. Though I’m not giving you carte blanche to obsessively wear fedoras/trilbys like a basement dwelling nerd (or increasingly a Forever 21-going hipster), embrace the men’s hat- I’m talking newsboy caps, flat caps, and the like. Ironically, these are growing in popularity in the fashion world- they’re both incredibly fashion-forward and perfect for cold weather. Don’t go overboard- don’t go leather, don’t wear one everyday, and for god’s sake, don’t buy something ridiculous looking- stick to something classy and possibly super-traditional (think heavier fabrics) for a great and very versatile look. 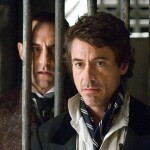 In closing, Sherlock Holmes is not the perfect example of Victorian fashion by any means. It’s really best described as a convenient hybrid- enough Victoria to be English, but enough modernity to be familiar to viewers (one might argue this is how the entire movie is comprised, but I’m revealing my Basil Rathbone inner fanboy). Nonetheless, it’s a great way to get an introduction to what a nice mixture of older fashion and newer fashion might be- namely, a traditional but strangely modern style that you can easily weave into your everyday dress. Watch out though, you wrote “Jude Law’s Holmes” in the 6th paragraph.